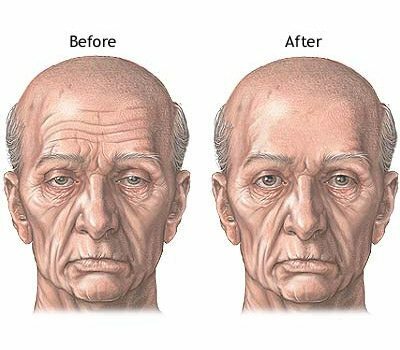 Comments about looking older, sad, angry, or tired. 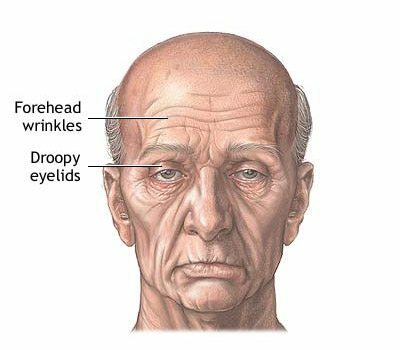 Wrinkle lines across the forehead created from constantly holding the eyebrows up to see better. Deep furrow lines in between the eyebrows. Sagging, drooping eyebrows that push down and create more skin and hooding over the upper eyelids. 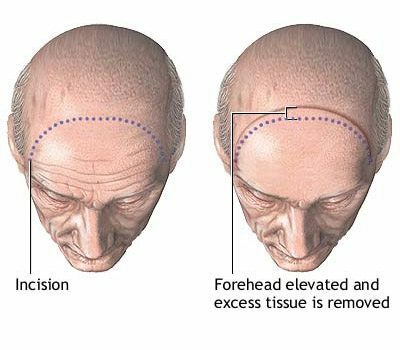 Small incisions are made inside the hairline above the forehead. The brow is then lifted and held in place with Endotine devices. Local or MAC anesthesia may be used. This outpatient procedure takes about thirty minutes, and is performed in our AAAHC accredited surgery center. You will come in the day after surgery for a check-up; sutures/staples are removed about six days after surgery. You can shower the day after surgery. You should sleep and rest with your head elevated for a week. Pain is minimal and easily controlled with medication and subsides by the second or third day after surgery. Swelling is mild to moderate, peaks two to three days after surgery, and then disappears rapidly over the next three weeks. Able to apply makeup the day after your procedure and comfortably appear in public three to four days afterwards. Resume minimal activities within the first week and most all activities after two weeks. Time off work ranges from five to seven days. Alleviates heaviness of the eyelids which may improve vision. Returns the eyebrows to their natural position. Improved appearance by the end of the first week that only gets better over the next three to six months.